Have a little fun with this earring in two styles. Named Arizona by my little sister, who remembered a road trip we took to Arizona as children. On the drive we saw lots of flat, dry desert, but there were bursts of green across the scenery because of all the cacti. These brass enameled cactus charms are paired two ways, the first with a handmade Peruvian clay bead, and two wooden beads for a sweet and simple finish. The other style, has a little more of my kind of flare, lots of color! 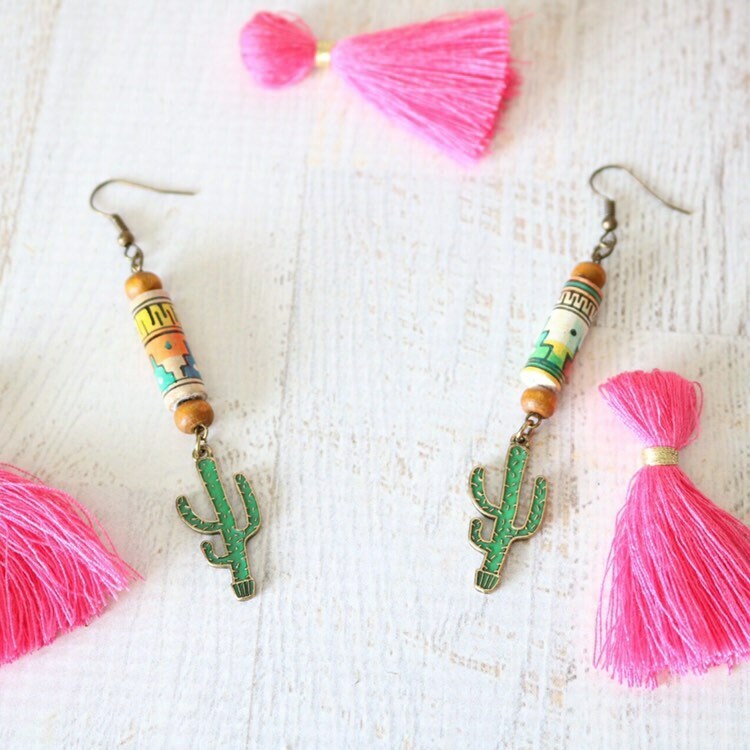 The cactus charm is not only fashioned with a handmade Peruvian clay bead, but also four various stone beads of, white, orange, turquoise, and fuchsia. Either style will grab plenty of attention and brighten any outfit.